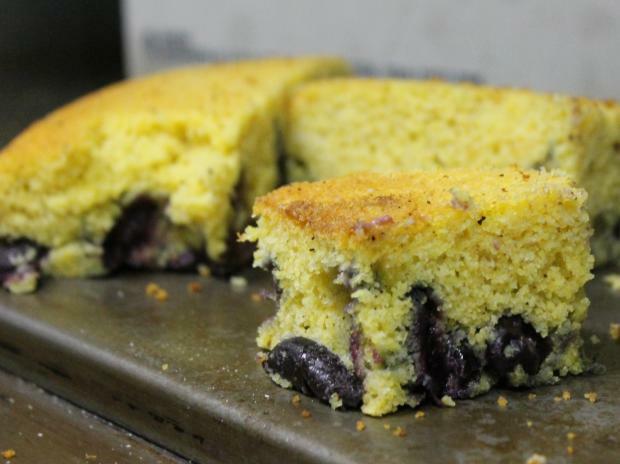 BUSHWICK — If their bourbon-and-tobacco poached cherry cornbread with pork belly doesn't lure you, chef Nick Gilbert is confident the "bangin'" gin and tonics will — in fact, even though Mama Joy's still awaits its grand opening, he said the Flushing Avenue eatery has already hooked regulars. "We're using Southern ingredients with a new take," he said from behind the bar of the rustic establishment that subtly opened two weeks ago without a sign. "We're still doing biscuits, but cracked black pepper biscuits with duck confit." Mama Joy's, which will dish out complimentary corn and jalapeno hushpuppies and will offer $3 beer and shot specials at its grand opening party Friday, is an attempt by owner Chad Hensel to bring Southern cuisine to the neighborhood — and the restaurant's name comes from the ultimate Southern belle, Hensel said. "Mama Joy was my wife's grandmother, the quintessential Southern hostess," said Hensel, a Florida native whose wife is from South Carolina. "My wife and I always had an affinity for Southern food and hospitality and there's really none in the area." The spot, whose eclectic peeled-back walls reveal different wallpapers spanning back 80 years, Gilbert said, already seems like a fusion of Bushwick and the South, with local artists' paintings throughout the room and scents of cornbread wafting from the kitchen. And by October Hensel and his staff hope to open the renovated backyard for low country boil (a seafood and potato one-pot dish) parties and more. "It's going to be silly," Gilbert said, smiling. "We'll have clam bakes...everybody will come out back, we'll have buckets of beer on ice." In the meantime, Gilbert boasted Mama Joy's' "killer selection" of 12 different bourbons, the "old school staple" of boiled peanuts, and most of all the pork-laced cornbread dish. Mama Joy's is now open on 1084 Flushing Avenue 11 a.m. — 4 p.m. for lunch, and 5 — 11 p.m. for dinner, with its bar open after dinner as well. The opening party is at 8 p.m. Friday.